Kodak is Rochester. It is difficult to think of one without the other. My years at Kodak were brief when compared to the decades of service that others have given, and still are, but I do remember my time there fondly. It wasn’t perfect, but it had attached to it a long history. A history you could smell when roaming the halls of the tower. This should be construed as a bad thing. Age. It often is. Mistakes were made over the years but this shouldn’t be attributed to Kodak’s history. 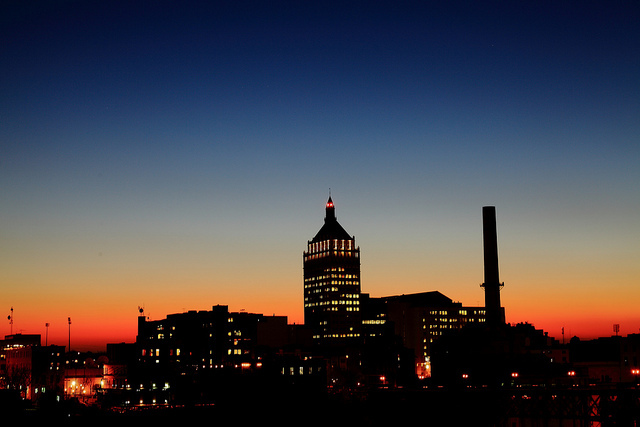 There were many glory years that made Rochester a special place. It is even more sad to see that there are now selling their patents for $525 million dollars, a quarter of their original expectation. This will help them get out of bankruptcy…but then what? No one I’ve talked to seems to know. Supposedly the main reason for Kodak’s bankruptcy was their failure to “embrace change” via digital technology instead of film. If true, then It sounds like an aesthetic decision and Kodak should be commended for their reluctance to sacrifice warmth and depth for the cold efficiency of digital–consequences be damned. It’s sad, how vibrant this place was and how close to death it is now.